Some equipment facilities are more at risk from a lightning strike due to many factors such as the the region where the facility is located, the construction of the building and whether or not there are any existing lightning protection devices such as surge protectors and earthing electrodes installed. E&S Earthing Solutions provides comprehensive lightning risk assessments and lightning protection plans that will help to ensure that a lightning strike will not cause catastrophic failures, injuries or fatalities at equipment facilities. Our lightning risk assessment and proposed lightning protection plans illustrate the current risks and necessary steps that should be taken in order to meet the guidelines as set out in NFPA 780 and IEEE 998. Few areas are free from thunderstorms and the hazard of a lightning strike, but some areas have more storms than others. 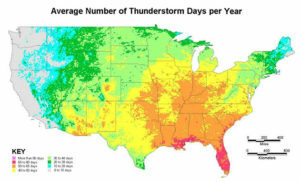 The higher the lightning flash density (or earth flash density), the higher the probability of a lightning strike at your facility which will require a higher level of lightning protection. 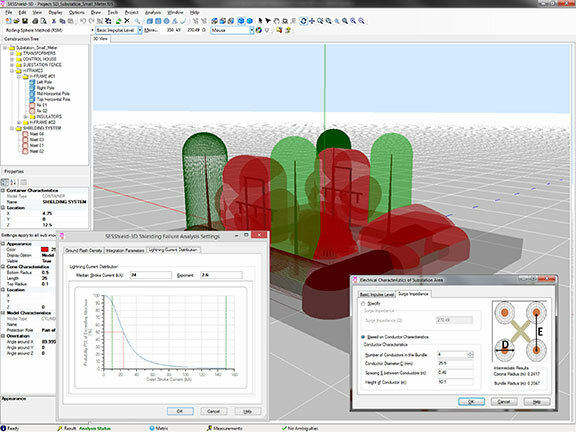 Determining the lightning flash density at a given facility location is of vital importance. IEEE 998 estimates lightning flash density based on average number of thunderstorm days or ‘keraunic’ level. NFPA 780 uses the default national flash density map with data from 1997 to 2010. Instead, E&S Earthing Solutions provides an improved a report containing up-to-date lighting flash data gathered from the National Oceanic and Atmospheric Association Severe Weather Data (NOAA) specifically for the precise plot of land where the facility is located. This allows for calculating much more accurate future predictions. A lightning risk assessment and a lightning protection system is an important component in protecting employees, equipment, electrical systems and critical business processes. 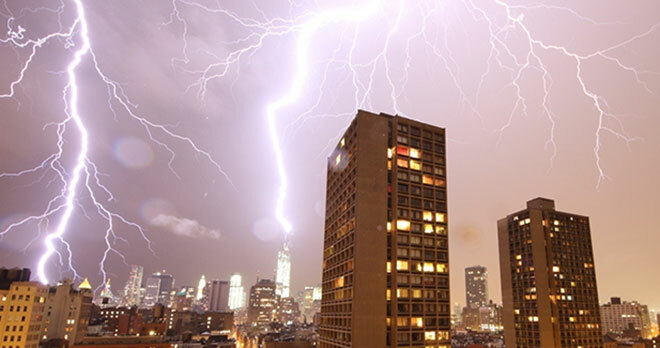 E&S Earthing Solutions provides comprehensive lightning risk assessments and lightning protection plans which include a full report with findings and recommendations for implementing a lightning protection system that meets NFPA 780 requirements. 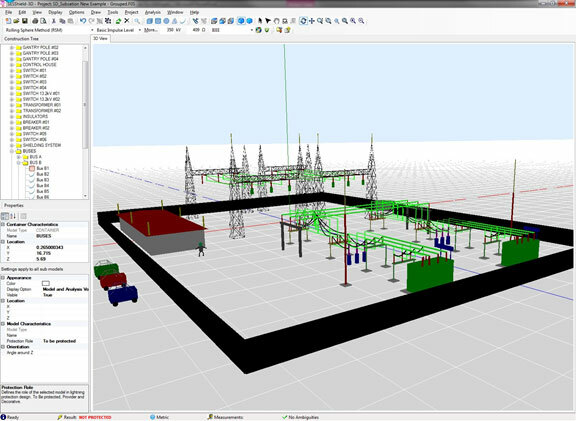 E&S Earthing Solutions utilizes the powerful SESShield 3D software package from Safe Engineering Services & technologies ltd, which is the same industry leading software used by both the NFPA and IEEE in developing their standards. Our lightning risk assessments are conducted by engineers who have no products to sell, just the technical expertise needed to help the electrical engineer design proper lightning protection systems and surge protection devices, and tie these back in to a properly designed electrical earthing system. From the top of a lightning aerial to the bottom tip of a earth rod, or from the center-tap of the transformer out to the final branch circuit, E&S Earthing Solutions can help you with all of your earthing, earthing, and bonding needs.